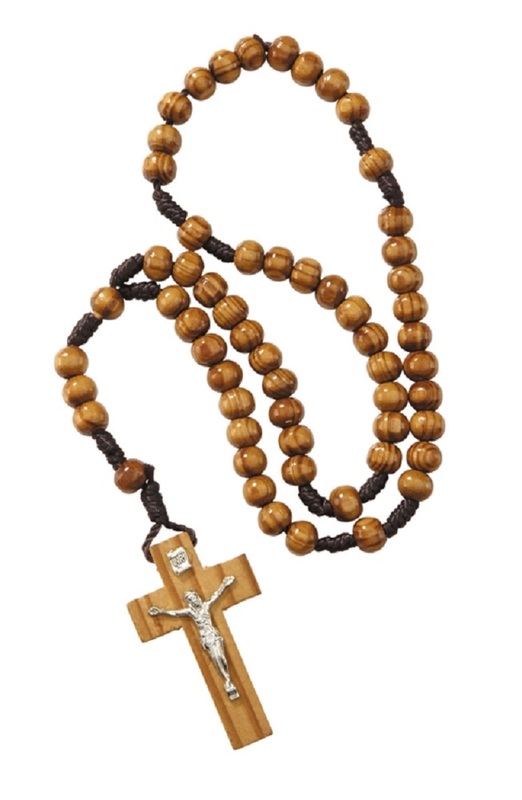 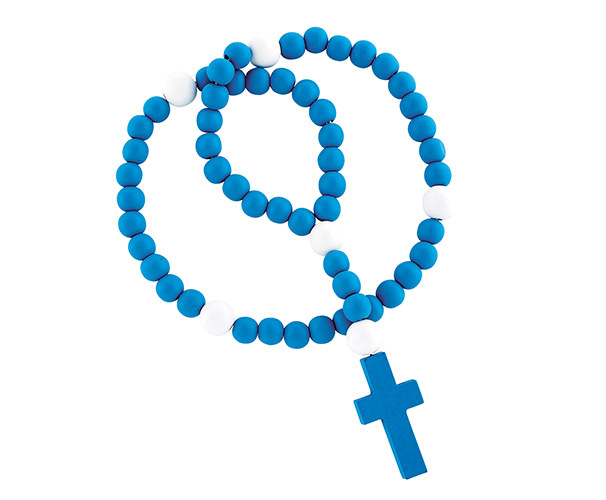 This large wood bead rosary makes a great starter devotional for young children. 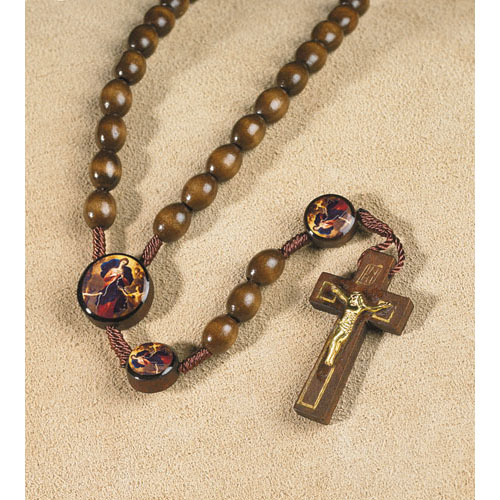 Each rosary comes with a drawstring canvas bag for gift-giving and storage. 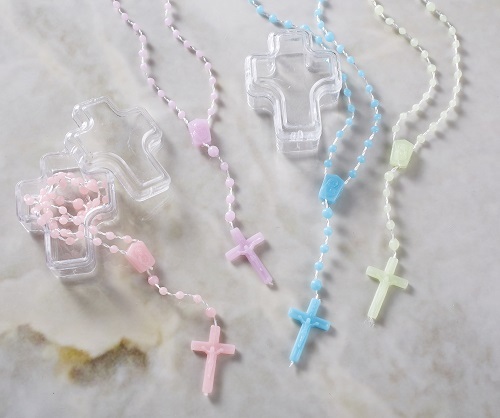 Perfect gift for a baby shower or Baptism. 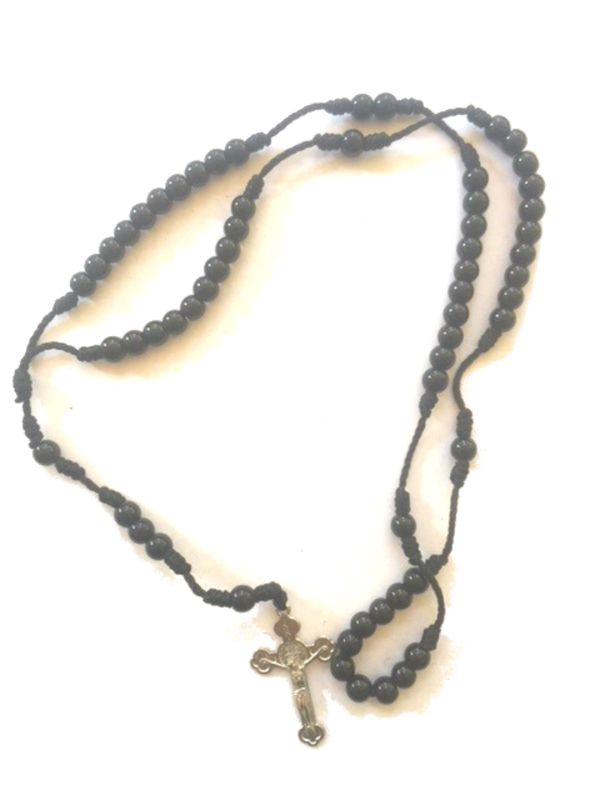 We only have a few of these available and when they are gone - they are gone!